Comments: Keep it out of windy locations and late afternoon sun. In areas where the top is killed by frost, cut back severly and mulch heavily until spring. Growth is quite rapid in spring. 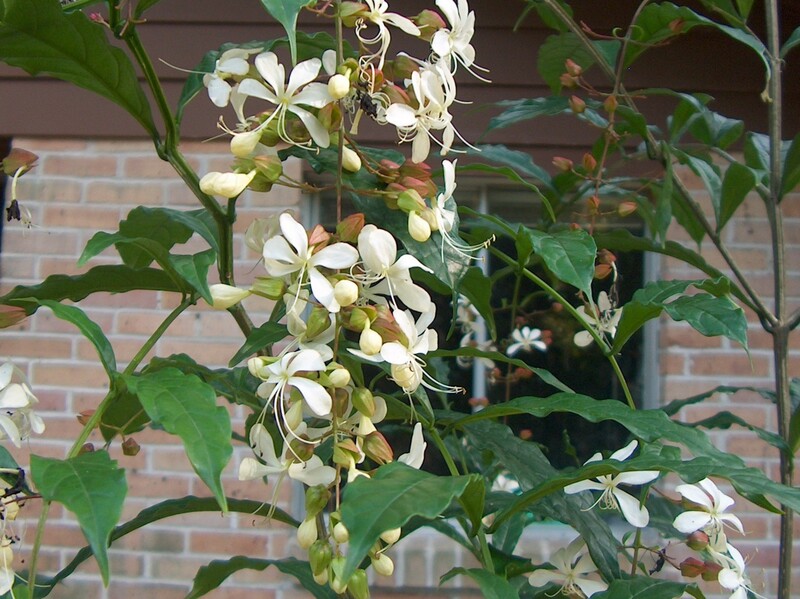 Produces panicles of white flowers.